New Location to be Announced! Please check back often for latest news on our brand new office opening in 2019. Welcome to Premier Eye and Vision, Southeast Houston's newest family eyecare specialist. We are conveniently located right off the freeway on I-45 and Fuqua. Our team of vision specialists provide comprehensive eye evaluations and care beyond simple glasses and contact lens prescriptions. Dr. Clyde is a specialist in Glaucoma diagnosis and management as well an extensive practitioner of a multitude of medical eye conditions. No matter your eye care needs, Premier Eye and Vision is a one-stop-shop for expert patient evaluation and service. Premier Eye and Vision is Southeast Houston's newest family eyecare specialist. We offer full-service care for all of your vision needs. 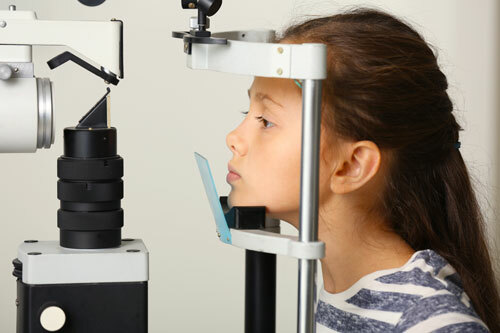 From your initial evaluation to a completed vision and medical plan, our attentive staff and state-of-the-art facility, including a fully stocked optical with an on-site lab, give you the tools to see your best. Our focus is on start to finish care for every patient. Our services include eye exams for the entire family, diagnosis and management of medical eye conditions, contact lens consultation and evaluation, custom frame styling and glasses lens creation. Each patient receives a customized vision care plan based on your individual needs. With over 1000 frames to choose from and an on-site lab, our fully-stocked optical has the perfect pair of glasses for the whole family. Custom styling by one of our trained staff is included for every patient to ensure the perfect fit, vision, and style. With complimentary lens consultation, we keep you seeing and looking your best. My visit was great! Awesome staff, and Dr. Clyde explained everything clearly and was very helpful. Affordable prices and lots of options/designs to choose from. 5 stars! !